A Pizza This is a local family-run business serving authentic Italian style pizzas from their location on the shore of Willen Lake South, Milton Keynes. Our pizzas are all 10 inch – about the size of an average dinner plate – and are cooked to perfection in the custom built, handmade clay dome, wood fired oven. All pizzas have our signature organic passata sauce, mozzarella, organic cheddar (that we smoke ourselves) a drizzle of organic olive oil and our own secret blend of organic herbs. 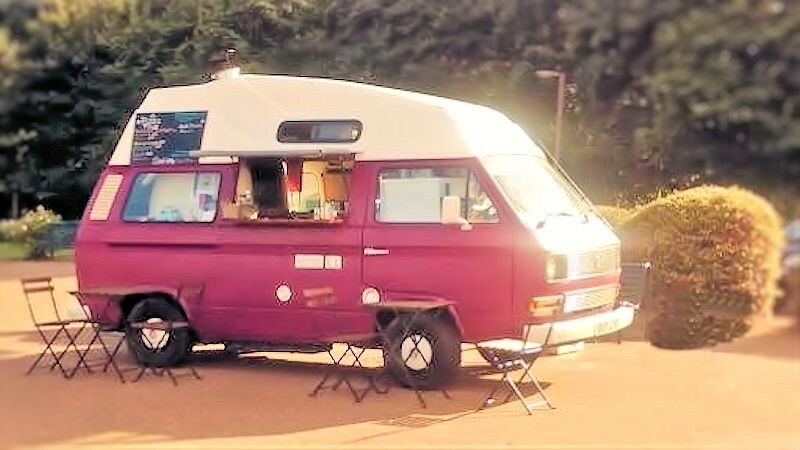 Operating from a converted camper van next to the Watersports Centre at Willen Lake, we are quickly gaining a reputation as serving some of the best pizza in MK. Finding us is easy – enter the main Willen Lake South car park entrance (marked with our sandwich-board sign), and follow it round until you see us on your left!! This little gem at Willen Lake turns out absolutely superb Italian style pizzas from the wood-fired oven in their converted camper van. The base is thin and light (and can be prepared gluten-free on request) and has it’s own flavour, unlike many pizza bases which act simply as a vehicle for getting the toppings from plate to mouth. The wood-fired oven adds it’s own extra character to the generous toppings which are made from fresh ingredients. The price is good too, and considering you can earn loyalty stamps for each pizza you buy, the 7th pizza is free. If you like pizza, especially Italian style versus American style, and you also recognise how good it is to support the local independents that bring a true flavour to our communities, then get on down to Willen Lake South and sample a true delight.